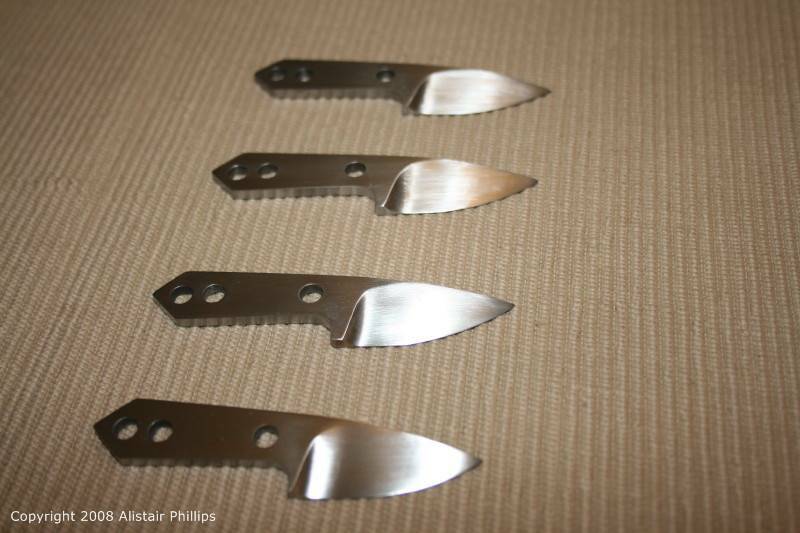 I got these knives heat teated at Hills Heat Treatment down in Victoria. I know alot of knifemakers recommend them and this is the second time I have used them and haven't had any problems. 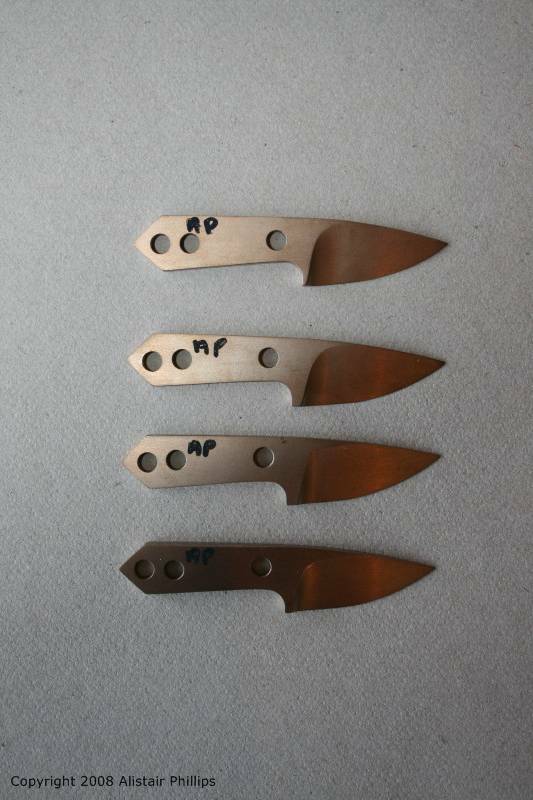 When they come back from heat treating the are covered in scale that needs to be sanded off. These ones came back a nice golden straw colour. Here they are after sanding the scale off and sanding up to P400 sandpaper. It is really tricky to get into the holes and clean up inside them. Next is to take them down to Karim's and do a bead blasted finish to them. While I was down at Karim's I used his extensive sharpening equipment to sharpen them up. 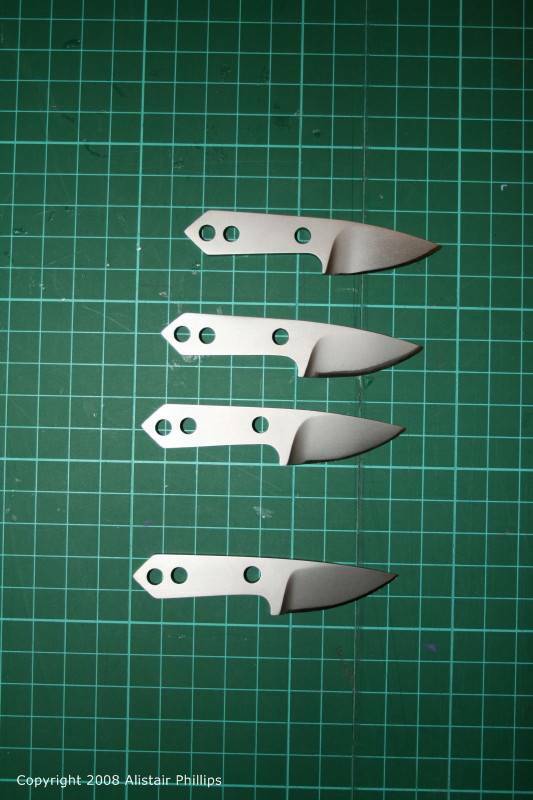 They are plenty sharp and look pretty good with the bead blasted finish.